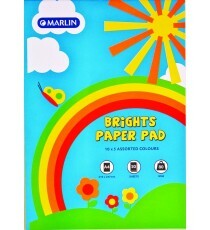 Marlin A4 paper pad 50 sheets 80gsm Bright asst. 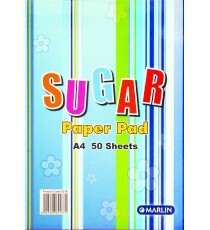 Product Lead time: 2 to 4 working days This A4 paper pad has multiple uses, from making cards to brightning up a project. 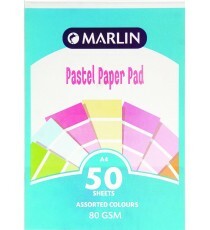 ..
Marlin A4 paper pad 50 sheets 80gsm Pastel asst. 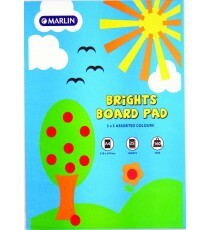 Marlin A4 project board pad 25 sheets 160gsm Bright asst. 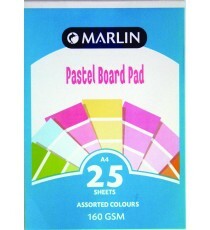 Product Lead time: 2 to 4 working days Marlin Project Board pad A4 25 sheets 160gsm Bright assorted ..
Marlin A4 project board pad 25 sheets Tokai 160gsm Pastel asst. Product Lead time: 2 to 4 working days These A4 pastel boards can be used for projects or as dividers in a file. .. Product Lead time: 2 to 4 working days This paper is ideal for projects or crafts. .. 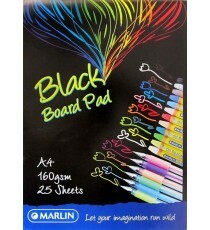 Product Lead time: 4 to 7 working days Marlin Project Board pad A4 25 sheets 160gsm Black .. 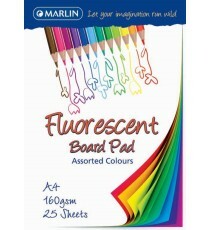 Product Lead time: 4 to 7 working days Marlin Project Board pad A4 25 sheets 200gsm assorted Fluorescent colours ..